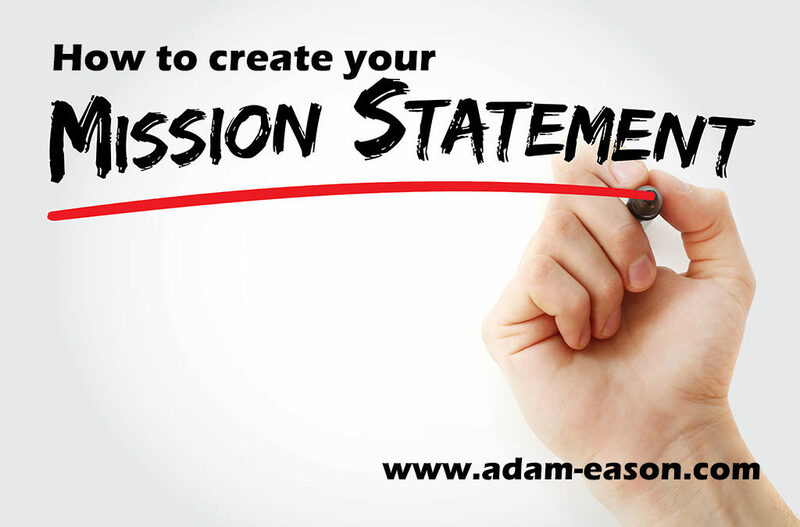 How to Create Your Mission Statement? Offers hypnosis training courses, seminars and lectures in a range of locations throughout the UK and Europe. When you have a mission statement, it lends purpose to your actions, and turns you into someone who is on a mission. I really like that. Creating a mission statement is what I’m writing about today. “The two most important days in your life are the day you are born and the day you find out why.” ― Mark Twain. Simon Sinek, Ted Talker, author and visionary, says leadership begins with communicating your “Why”. Sinek believes few people or companies do an effective job at clearly articulating WHY they do WHAT they do. “People don’t buy what you do; they buy why you do it.” – Simon Sinek. This has always resonated strongly with me. By “Why”, Simon means purpose, cause or belief. Why do you exist? What motivates you to get out of bed in the morning? Why should people care about what you do? Your personal vision should be tied to your goals, values, passions, and qualities you most admire and want to develop. When you have a mission statement, it becomes how you represent all these things within your world and the world at large. These are building blocks of your mission statement. A personal mission statement is how you measure yourself against your toughest critic; you. You must be true to yourself before you can be true to another person, a team, or an organisation. It’s an underlying thought, an ethos that leads you when you are too busy to think. A handhold when everything else is slipping from under you. So is it a problem if you don’t have a mission? I think so. It’s important for both personal and professional standpoints. Research conducted by Deloitte and similar studies have shown that having defining and communicating these statements has had a positive impact on employee happiness and performance. By clearly defining who you are, what your values are and what your vision is, you will also help differentiate yourself among your peers. The benefits can be significant, including landing a better job, increasing your value, generating more referrals, having more meaningful relationships and enjoying a generally more fulfilling life, to name a few. How to Build a Personal Mission Statement? Each of us possess a driving force of some kind in our lives. This essential framework defines who we are, how we approach life, how we set goals and make decisions. A vivid vision starts by envisioning what you see as the epitome of your success. Once you have created the vision you can then begin writing your own success script. What will your personal mission statement be? The process of creating a personal mission statement and our own vivid vision for success focuses us on something beyond a job title or salary. It encourages us to consider and describe in detail every aspect of who we are and how we approach life. It enables us to vividly shape our purpose and since purpose is at the heart of what leads us to accomplish goals and achieve success it is an essential building block of our values and beliefs. Our values and beliefs form the foundation of goal setting, and research by Eccles and Wigfield, for example, repeatedly indicates that meaningful goals that emerge from our most deeply held values and beliefs are the ones we are most motivated to accomplish. Organisations and businesses have known that their mission is what makes them so much more than just the products they sell or the services they provide. This is a lesson we can all learn in our personal lives too. A clearly articulated purpose, clearly stated values and a vision serve as a constant reminder to all about where they are headed and lets others understand who you are, how you approach life and how you make decisions. These culminate in a mission statement. A mission statements is not just for large organisations or businesses; crafting and sharing a personal mission statement that defines who you are, how you approach life, your priorities for setting goals and the values that govern your decision-making can be an extremely effective tool. Knowing what lies at your very core and being able to share that with others can be the competitive edge you are looking for. It can lead to a more enjoyable and fulfilling existence and enrich your life greatly. Writing a personal mission statement requires that you follow an inside-out approach. It means that you need to take a hard look at your values, beliefs, and who you are at your core. You have to be fully open to the introspective work that can reveal your most deeply held beliefs and values. Personal mission statements do not have to be elaborate – they can be as simple as one word, a daily mantra or a favourite quote. It can be a simple sentence that brings into focus your core values, goals and purpose and can be a touchstone in difficult times and can help keep your focus on what is most important to you. Your mission statement helps you say no to things that distract you from carrying out your values, vision, and plans. It becomes the roadmap by which you travel toward success and it conveys your values to those around you. Your personal mission statement should not be static and it should evolve and change over time as you do. Are you ready to begin creating or refining your personal mission statement? • What are you most inspired by? • What motivates you to action? • What do you believe? What are your most important values? • What do you want others to think when they hear your name? • What is the core energy that drives you? • What lies at your inner core: the pursuit of knowledge, power, love, wisdom etc.? • What turns down the dimmer on your energy and leads you to conflict? • Ask those who know you well what they would say your deepest values are. Be open to their feedback and notice how you respond emotionally to what they share. Often our emotions give us clues to what we feel most strongly about. • Choose words and use word association to create a list of values. Choose words that are actionable, inspirational, simple and authentic to who you are. • Look at who you admire and the qualities that draw you to them. Ask yourself what phrases about them mean the most to you. See what matches your goals and beliefs and adopt them. • Look to historic figures, writings, poems, and quotes, and identify things that resonate and inspire you. • Begin to brainstorm and draft your mission statement. Remember, it can be a word, favorite quote, etc. Writing a mission statement is a little bit like trying on new clothes. If it doesn’t fit the first time you can always go back and try something new. But once you finish writing it put it out there for everyone to see and make yourself a laminated copy that you can bring with you and pull out when you need motivation or restore your focus. Have you ever been stuck at a crossroads of life decisions and have no idea what to do? Do you fear waking up one morning 50 years from now totally shocked about who you turned out to be? Why not decide today who you will be in the future? One way to start down the journey of living a purposeful life is to enlist the power of a personal mission statement. If you don’t have a clearly defined purpose, then you do not have anything to guide your decision making process. Being able to block out all other distractions and focus on your goal will undoubtedly help you become the leader you have always wanted to be or simply someone who owns their own experience of life. Step 1: Begin by brainstorming. This step can take time. You shouldn’t rush this process. Spend time reading, journaling, discussing and thinking about the qualities you admire most in leaders you have read about or people know personally and anyone in between who is a good example). This time is for you to look inward and figure out who you are, who you want to become and how you are going to get there. Use a whiteboard or a pad to start jotting things down about who you would like to be or what you would like to accomplish. Be creative here and do not let anything seem too impossible or too crazy. A helpful exercise would be to imagine yourself as a fly on the wall at your own funeral. What would you want people to say about you? Think about that for a little while and begin writing those words down. You may need to close your eyes and seclude yourself for this step in order to eliminate every possible distraction. When you feel like your list is as full as it can be, pick 5 words from the list. You will use those 5 words to shape and mold your mission statement. Step 2: Write a couple (maybe even several) rough draft statements using your words as inspiration. You can make your statement as broad or as narrow focused as you would like but keep in mind you should be able to use this for your whole life. While you are drafting your statement, remember it should be no longer than a tweet. The more concise, the better. Step 3: Discuss your statements with close friends and mentors. Find people you trust and respect and see what they think. If they are on board, you just might have a dynamite statement. Another way to use it is by asking yourself every time you are faced with a big decision, “Does this help me fulfill my mission?” Or you can use it to motivate you to put your words in action. Applying your statement to your daily routine will allow you to live a purposeful and focused life. I have mine pinned up on the wall in my office. 1. Do you need help or support in a particular area of your life? 2. Would you like a satisfying and meaningful career as a hypnotherapist helping others? Are you a hypnotherapist looking for stimulating and career enhancing continued professional development and advanced studies? Adam Eason’s Anglo European training college. 3. Are you a hypnotherapist who is looking to fulfil your ambitions or advance your career? Hypnotherapist Mentoring with Adam Eason. Likewise, if you’d like to learn more about self-hypnosis, understand the evidence based principles of it from a scientific perspective and learn how to apply it to many areas of your life while having fun and in a safe environment and have the opportunity to test everything you learn, then come and join me for my one day seminar which does all that and more, have a read here: The Science of Self-Hypnosis Seminar. Alternatively, go grab a copy of my Science of self-hypnosis book, it’ll help you live a more meaningful life! 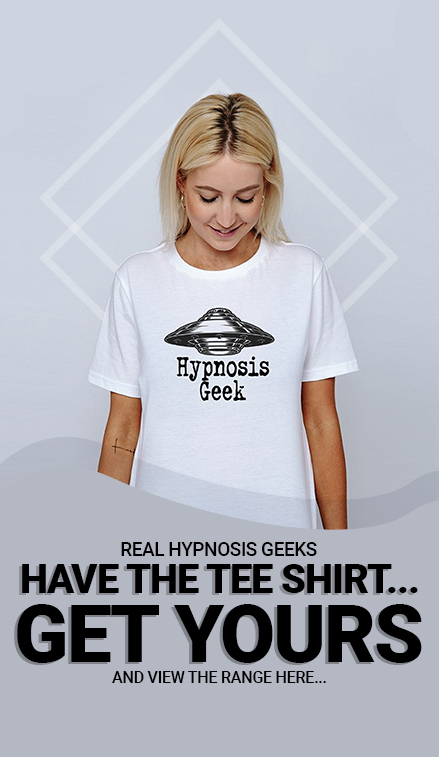 Subscribe to the ‘Adam Up’ ezine filled with tips, strategies, techniques and lots of hypnosis goodness delivered to your inbox every week.